I had fished with Dave several times over the years and introduced him to some good waters where he has caught some splendid fish. 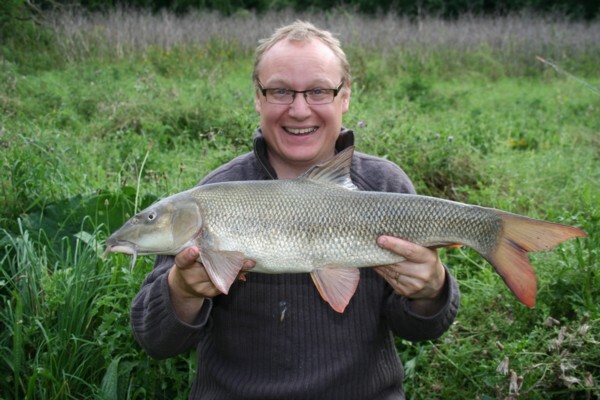 Dave had expressed an interest to fish the river Wye. Well I couldn’t ignore the request as the river and the beat I’m fishing is really doing well. It had been a busy week as I had been involved the two previous days taking 12 kids who are classed as vulnerable fishing on a couple of lakes. We had great fun some catching fish for the first time and others catching pb’s, they didn’t want to leave on each occasion. Dave and I started off at 5.30 in the morning, with the drive to the Wye being about 1 hour away. Anyway things got off to a disaster as we neared Coleford close to the fishery. I realised that I had tackled the rods up with 70g feeders the previous evening but had not packed spares. Because of fishing the lakes the previous days I had not wanted to carry an additional 3lb of feeder weight so left them out from my bag. Bugger. So we arrived late at the fishery 8.15am. We could see the river was brown and rising. We had plenty of rain over the last few days and the river had started to rise. We chose a swim where I knew a few barbel might be. The method is the same feeder and hair rigged pellet that I normally use. Dave was excited and apprehensive (as I was) because of the river rising. I normally put a stick in the bank to see how fast the river is rising each hr. This disappeared after 30 minutes so the river was rising rapidly. Dave cast out to about mid river with a feeder. Within the first 5 minutes the rod arched over and a fish was on. It didn’t stop there as in his first 3 casts he hooked and landed 3 barbel two 7lbers and a 5lber. So any apprehension we had on whether they were feeding vanished. The river started to rise even faster and after about 1 hour we had to move swims as the amount of debris and increase in flow just made it impossible to hold the feeder in one place. Once the feeder moves then the baited hook moves out from the area where the feed has landed on the river bed. 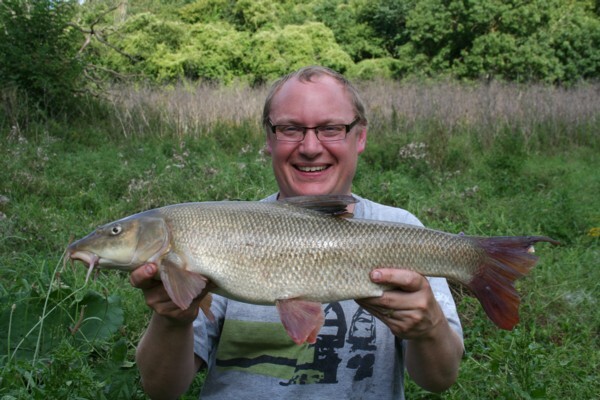 The next swim produced a 7lb barbel after 1 hour of baiting up. There was lull in action with between 12 and 4pm however, we did lose a couple to an unseen snag, and when we moved just 5 meters downstream Dave didn’t lose any more and sport really picked up, and my record of 19 in one day was seriously being challenged. Have a look at these video clips of the days action. This tells a great story. 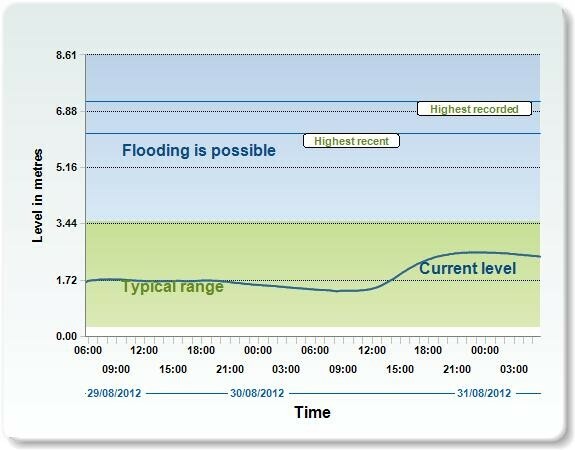 The river condition worsened during the day with it rising 4 ft during the day, however by 8pm the level increase rate subsided to an inch and hour. But still a red letter day for Dave and by far his best ever angling experience, his words not mine. 15 barbel in total. This entry was posted on Monday, September 3rd, 2012 at 9:59 pm	and is filed under Uncategorized. You can follow any responses to this entry through the RSS 2.0 feed. Both comments and pings are currently closed.